With consistent weather and years of practicing better catch and release practices, 2017 saw some pretty awesome fishing. 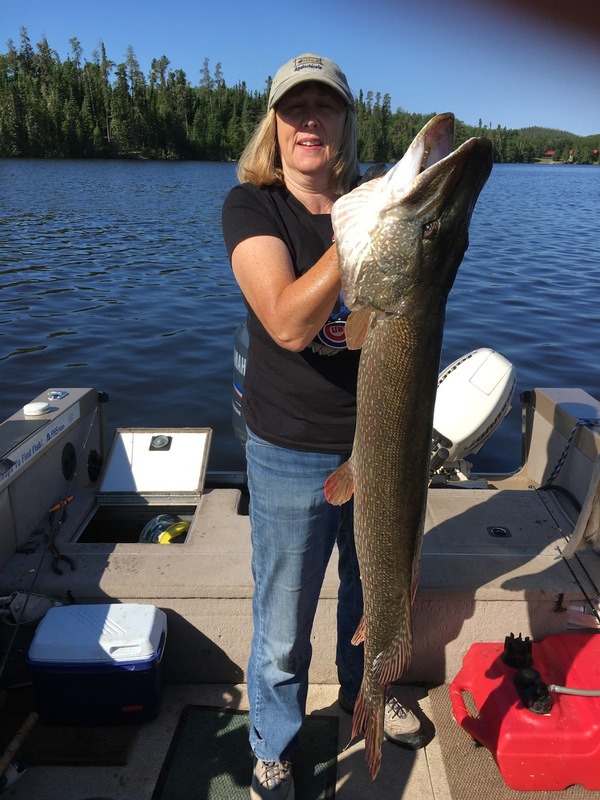 I have not organized all of the pics yet, but I will do my best to add them to the "biggest fish" pages for 2017 as I come across them. Feel free to send me any pictures you have if you see your name on the list. 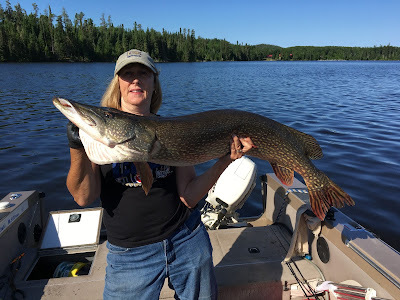 Jen Anderson with biggest pike of 2017 - 47 inches. Notice our camp in the back ground! ?